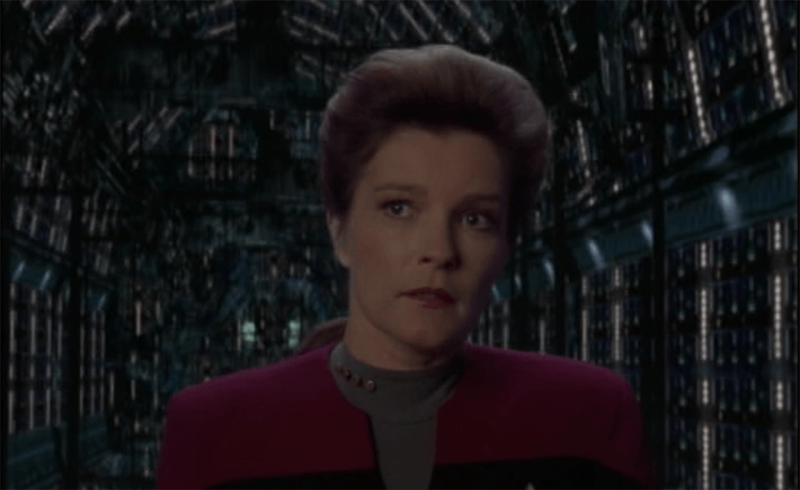 Truth or Myth - Captain Kathryn Janeway: Hero OR Criminal? In 2371, Captain Kathryn Janeway of the Federation Starship Voyager went on a mission to the badlands to retrieve her tactical officer Tuvok who had infiltrated a Maquis Vessel, but had disappeared and not been heard from for some time. Little did she know that that fateful mission would land her and her starship in the delta quadrant, trying to find a way home. Star Trek Voyager is one of my favourite series even though some of its vast potentials was lost early on in the series. But part of the reason it’s loved by so many people is because of her Captain, Kathryn Janeway. After assuming command of the newly commissioned USS Voyager, the caretaker a technologically advanced life form from another galaxy, pulled Voyager from the Alpha Quadrant to the distant reaches of the Delta Quadrant. Once there Janeway makes the decision to destroy the Caretakers array, the technology to get Voyager and her crew home and begins the journey to back by conventional means to the alpha quadrant, a journey that will take 75 years to complete. The reasoning she gives for ordering the arrays destruction is flimsy at best. We didn’t ask to be involved but we are. Huh? So because an alien life form kidnapped her and her crew that means that she should destroy it? That doesn’t make sense. The Prime Directive itself would seem to apply and prevent her from doing that, but instead, she twists it the other way around to justify her actions. Look at it this way, say Voyager was sailing through uncharted space and landed in a sector that’s having an all-out war. And Voyager is hit by torpedoes because of that, does that then give her the right to head to the planet and stop that war by destroying all military facilities? I don’t think so. Her response would be to get out the situation as fast as possible and not interfere. But instead of getting her crew home, she makes a decision to alter the natural course of events in a far away quadrant. It may be noble, but it is also against Starfleet’s principals, principals which she claims to hold dear. It seems as though Janeway actually doesn’t hold the Prime Directive in high regards. In another example let’s quickly talk about The Doctor’s mobile emitter, a piece of technology from the 26th century. Why did she keep it? Shouldn’t she have destroyed it to prevent contamination of the timeline? 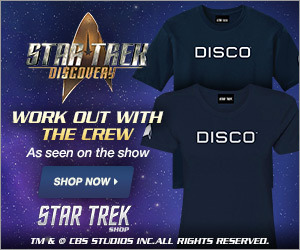 What IS the Temporal Prime Directive designed to do after all? Then comes Year of Hell! An exciting and thrilling adventure through a timeline that doesn’t end up existing. But in it, we get to see more and more of Janeway’s flaws come out. First off she decides to violate Krenim space instead of backing off and going around or at least until they have a defence to the Krenim weapons. How many people died because of that decision, once again, against the prime directive. Besides? Didn’t Kes already warn Janeway about the Krenim? Why didn’t she immediately back off when she heard the name? And as a side note, she was relieved by the doctor but refused that order, so much for Starfleet regulations right? Now I know what you’re saying, that was an extreme situation where she was under a lot of pressure and doing whatever she could to save her ship and her crew. But remember, it was a situation all of her own makings, you can’t have it both way by forgetting the facts simply because they don’t fit in with your view. Also, it’s not her first time under pressure, remember the episode “Alliances” in Season 2? Where apparently Voyager was falling apart and as such Janeway decides to seek an alliance with some of the Kazon factions? Well after being betrayed in the end Janeway gives a sanctimonious speech about how the crew needs to see what happens when you try to go against Starfleet protocols, that basically she had been right all along. Where was that speech in “Year of Hell“? More skewed views on the Prime Directive come along with the Hirogen. Not only does Janeway end up using and destroying the Arrays claimed by them, but she ends up giving them holodeck technology a decision she ends up regretting later when surprise surprise the holograms the Hirogen create end up deciding to take over the universe. And don’t forget raiding a Borg vessel to acquire Borg technology and allowing the biomimetic gel to copy her crews DNA essentially creating another Voyager crew. Do these seem within Starfleet Protocols? 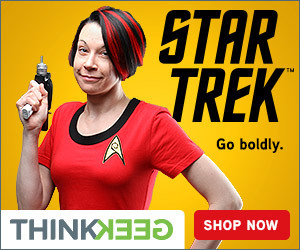 I mean she doesn’t know what those Bio Lifeforms will do with ALL the Starfleet knowledge they have? What if they’re captured and tortured into building Starfleet Technology for say the Kazon? By the Time Janeway gets Voyager home it’s 7 years later and she should have a LOT to answer for, but somehow she doesn’t. 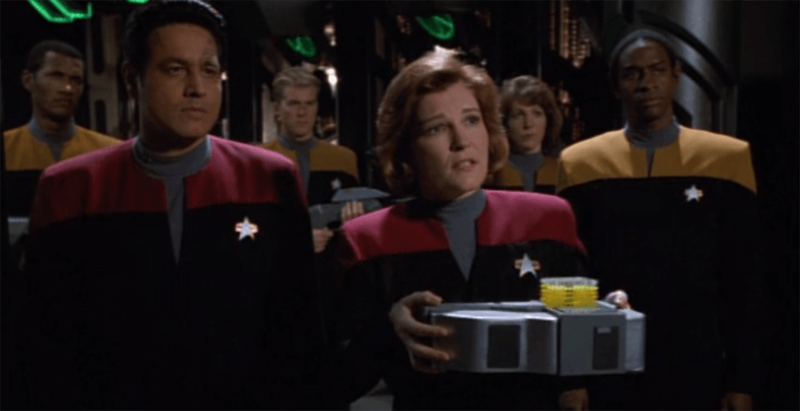 As a little side note in regards to Admiral Janeway, why did she go back in time again? This is our Janeway just a future date who is still obsessing over Voyager, which considering the length of time she served as her captain makes sense. But what doesn’t make sense is she’d risk the entire timeline to bring back a couple of crew members from the dead. How many people were lost in the first 7 years? You didn’t see her doing what she could to bring back ensign Caplin, do you? It would have made a lot more sense if Voyager had made it home but that she was almost falling apart and that over 2/3rd of her crew where dead, at least that would justify her actions. Don’t captains have to accept that death is part of the job? Anyhow, once home, Starfleet promotes her to admiral, why? Did they give her special consideration for the circumstances? Somehow I don’t think so. I think Starfleet couldn’t afford the scandal it would cause. Think about the time period. The dominion war had recently finished as well as the Borg having attacked earth once again and losing. The news report at the beginning of “Endgame” gives us the sense that in the public eye Voyager was a ship of heroes. Not only for exploring the delta quadrant but also for making it back in only 7 years against all odds. 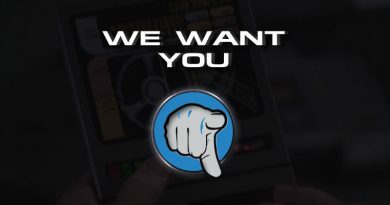 So if Starfleet pushed the issue of the Prime Directive public opinion might begin to sway against Starfleet and what it’s really doing out there. And of course the families of all of the people on Voyager wouldn’t have cared how Janeway got their families home, they’d only be grateful that she had. So instead they made Janeway an Admiral, which if you know anything about Starfleet is a form of punishment in itself. She gets to sit behind a desk and give out orders to other captains to do whatever task needs to be done. Very rarely will she be able to stand on the bridge of a starship and take charge again. Something that might have been appealing to her at first but I’m sure would bother her after a while. She’s certainly not the sit around type. So virtually she’s made a prisoner of Starfleet’s without having to have Starfleet say so. Most important decisions would go through the command council first before trickling down to her, it’s a very effective form of punishment. Now you may have listened to this and thought that I’m being way to hard on her. That I didn’t mention all the great things her and her crew accomplished and did for others while journeying the farthest reaches of the delta quadrant. I haven’t forgotten those, but this video is intended to look at the things she did that were just wrong. Any of these instances should have landed her in a penal colony. And all those great things mean nothing when stacked up against the bad. Once you’ve murdered someone but you save someone from committing suicide does that make you less of a murderer? My final thought? Captain Janeway was an amazing character that brought us a refreshing new take in a new series which showed that woman could command starships no matter what James T Kirk thinks. And Kate Mulgrew’s acting is phenomenal, she WAS the Janeway we all needed and loved, She was Star Trek Voyager! 7th January 2019 David Klawitter Comments Off on Truth OR Myth? Captain Benjamin Sisko, Hero or Villain?